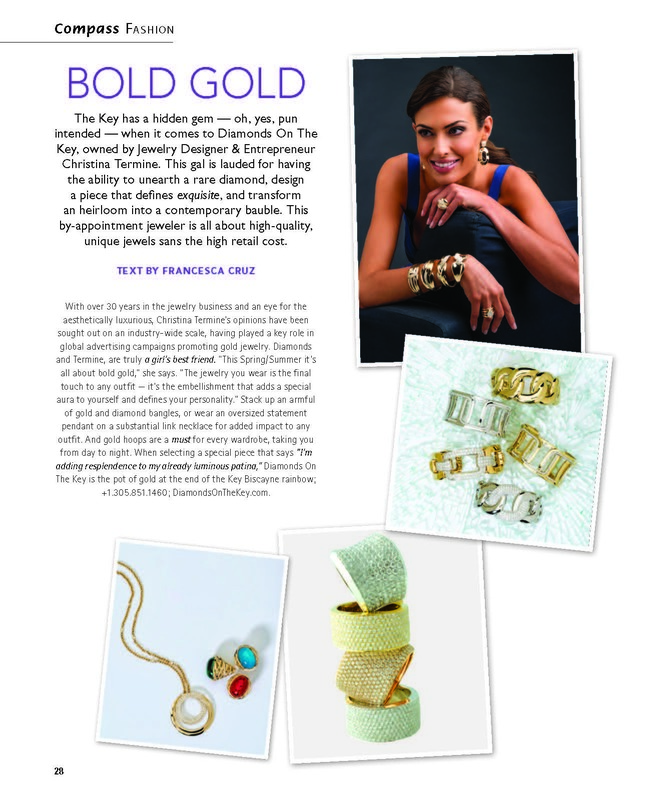 Bring your outdated and rarely worn jewelry to us and Christina Termine will personally consult you to create new wearable pieces from your jewelry. 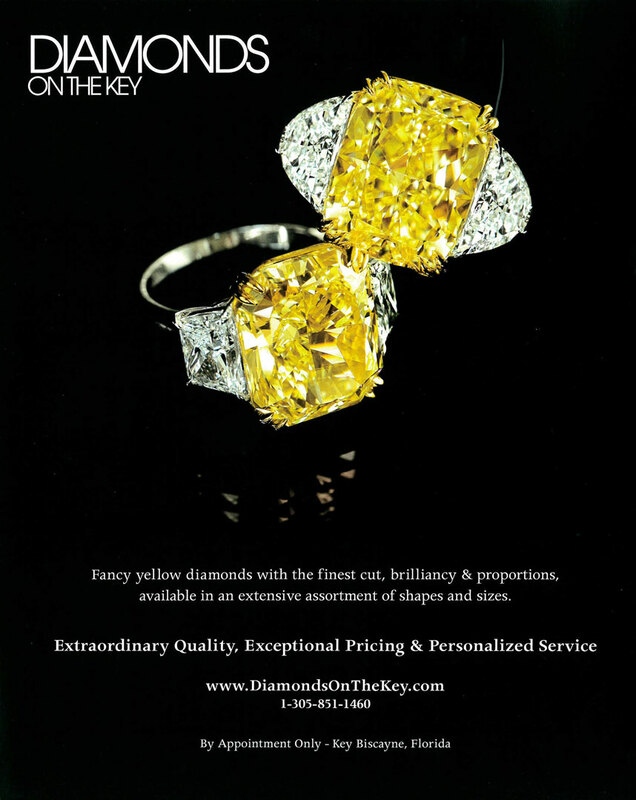 We specialize in only the finest cuts of yellow diamonds. View some samples. 14 individual, full cut diamonds, mounted in 18 karat white gold. Diamonds on the Key specializes in only the highest quality diamonds, having the finest cut and proportions and offers an exciting, wide selection of classic and contemporary diamond jewelry. With a 30-year career in the international fine jewelry industry, Christina Termine brings her expertise and knowledge to her clientele with the goal of providing both an education in diamonds and offering the best pricing. Christina aims to make her customers feel confident and informed in their diamond purchase, while they receiving the highest level of service. Christina received her Graduate Diamonds Diploma from the Gemological Institute of America (GIA) and insists on buying and selling GIA certified diamonds, as this nonprofit institution is regarded as the world’s foremost authority in gemology. 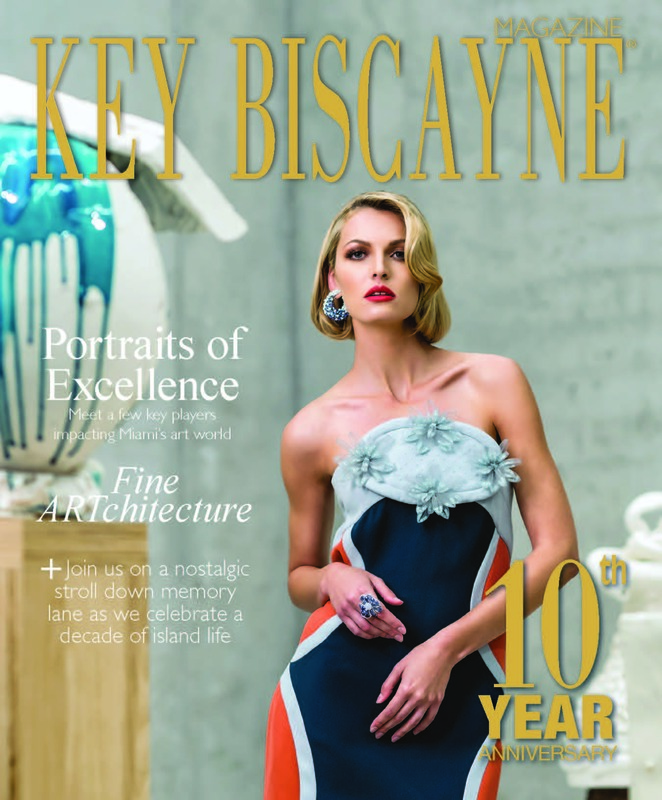 When meeting with Christina in her private jewelry salon, located in Key Biscayne, Florida, clients are professionally guided through the diamond selection process, while discussing their jewelry needs, in order to find the perfect match. Forming a reliable and trusting bond with your jeweler is just as significant as the trust and service provided by your doctor, real estate agent, lawyer or financial advisor and that bond is what I hope to build with and every customer”.